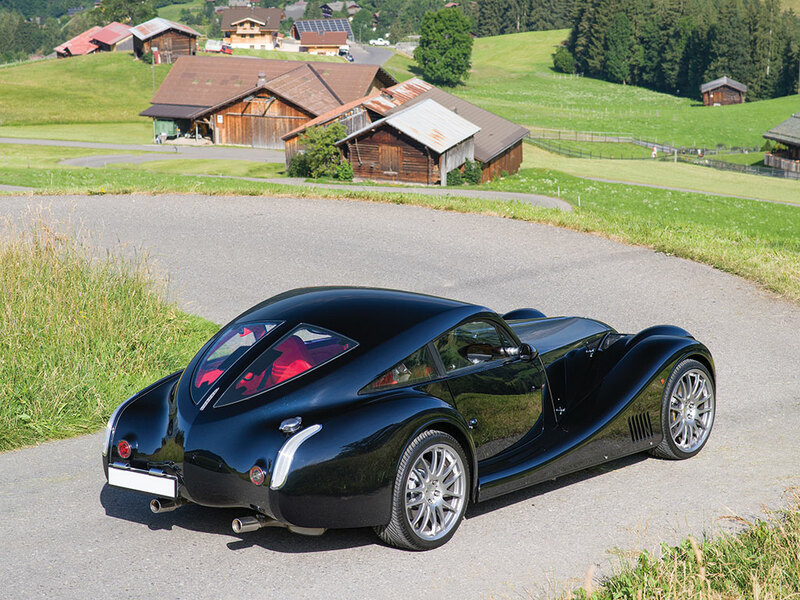 Created by Morgan’s mavens of Malvern the Morgan AeroMax is a car that somehow combines headlights from the Mini, tail lights from the Lancia Thesis and a body design that makes it look like a car that a Marvel Comics super hero would drive. A Marvel Comics superhero with impeccable taste in motor cars that is. The color scheme and the rear windows almost make this car look like a potential Batmobile. The tail lights are taken from the Lancia Thesis and look perfect on the Morgan. 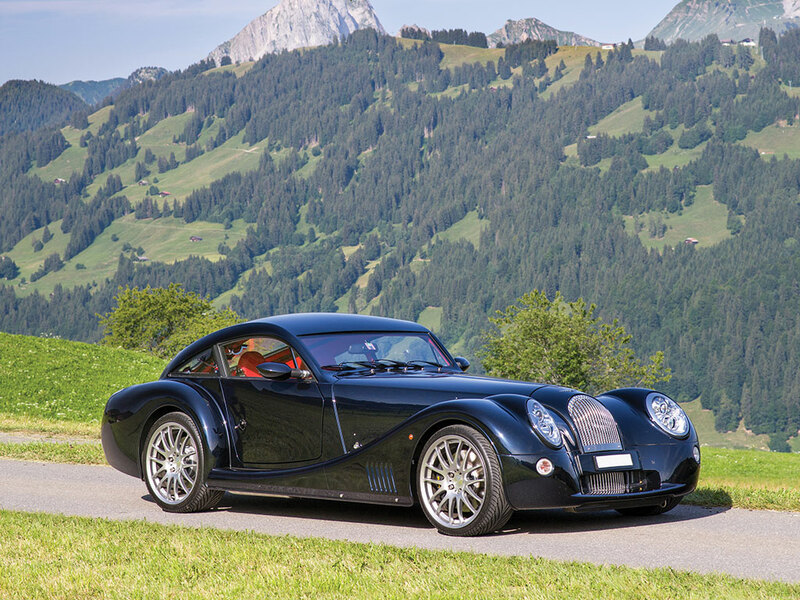 Made as a one hundred car limited edition based on the Morgan Aero 8 the Aeromax was created around an aluminum monocoque treated and bonded with Gurrit Essex adhesive and riveted with Bollhoff rivets, combined with traditional Morgan ash timber framed aluminum bodywork. Priced at £110,000 which was not quite double the price of the Aero 8 the Aeromax was purchased by people who could afford its Ferrari level price tag but who had the imagination and good taste to see this delightful piece of British automotive art as something that possesses such a unique blend of features that it was worth every penny, despite the fact that the engine and gearbox were from BMW and not from some esoteric highly strung performance shop. Notable people who shelled out their £110,000 to become a proud Aeromax owner included Richard Hammond of Top Gear fame and British comedian and performance car aficionado Rowan Atkinson. 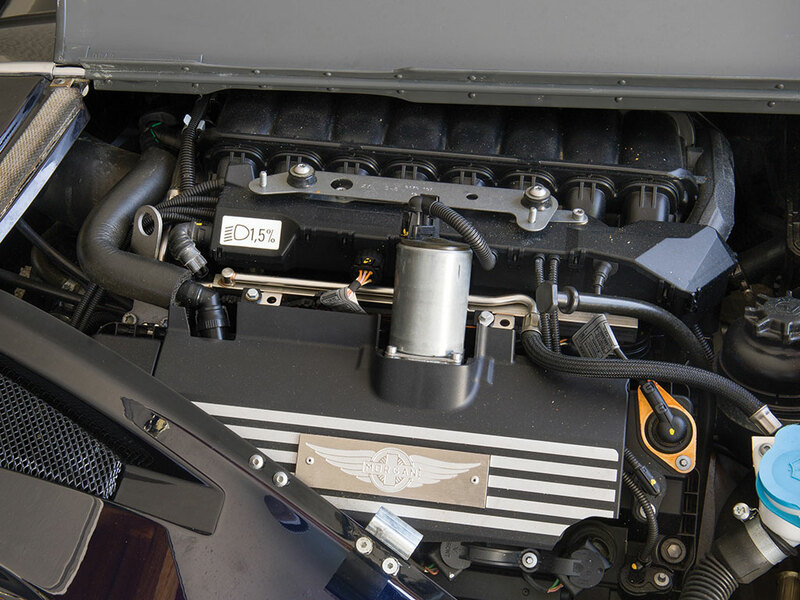 The BMW 4,799cc 32 valve V8 drives the AeroMax to an estimated 170mph. Early versions of the AeroMax were powered by a 4,398cc 32 valve BMW V8 producing 380bhp and mated to a six speed Getrag manual gearbox. Later versions have a 4,799cc 32 valve BMW V8 with the option of a ZF automatic transmission. The suspension of the car is attached to the bonded aluminum monocoque by means of ball joints in a system that permits the use of quite soft springing. Front suspension is fully independent with Eibach coil springs over Koni shock absorbers whilst at the rear the suspension is also fully independent fully floating inboard Eibach coil springs over Koni shock absorbers. Steering is electro hydraulic and is positive even though when sitting in the driver’s seat the front wheels feel like they are rather a long way away. Brakes of the AeroMax are from AP Racing with 350mm cast iron discs with 6 pot calipers at the front and 332 mm cast iron discs with 2 pot calipers at the rear. 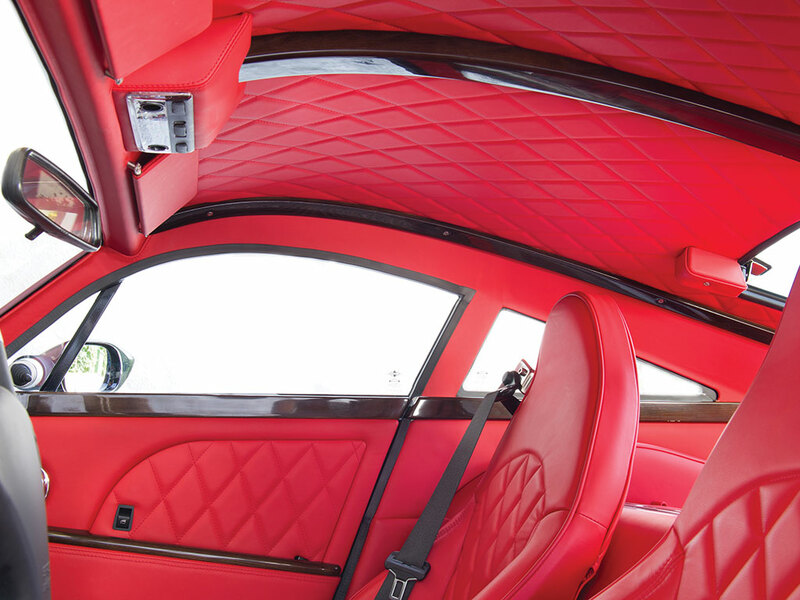 Interior of the AeroMax is luxuriously Morgan with tasteful wood framing and leather upholstery. The steering wheel is from Aston Martin. Although the Morgan AeroMax has a distinctly 1930’s style about it yet it is built around advanced twenty-first century technology. From monocoque aluminum frame to ash framed aluminum body panels, and hand carved ash dashboard top the car is a blending of thirties bespoke coachwork over the best of modern automotive technology. The Morgan AeroMax combines thirties style with twenty first century technology. The Morgan AeroMax is now out of production, the one hundred limited edition cars having been built and sold to their respective owners. As these are a fairly rare special edition they do not come up for sale often but the one in our pictures is coming up for sale by RM Sotheby’s at their London auction to be held on 6th September 2017. 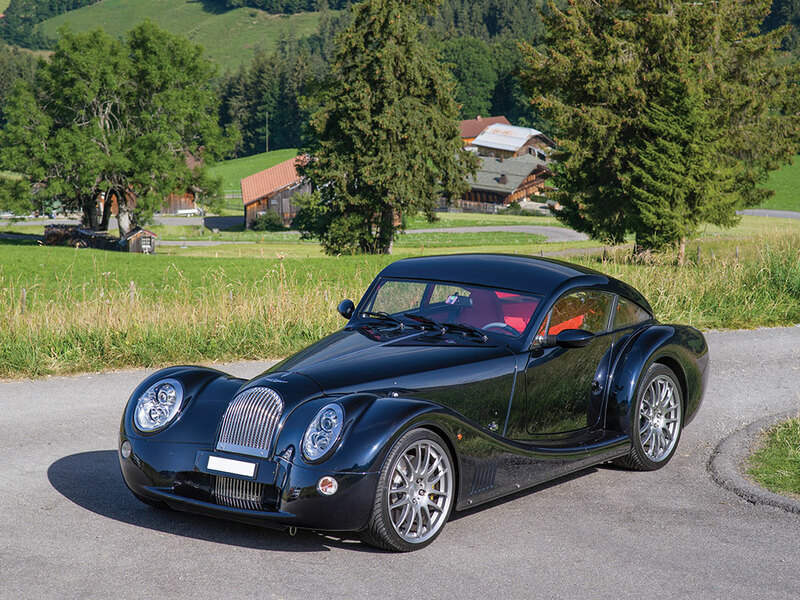 Morgan have managed to make the AeroMax visually compelling from all angles. This particular car was made for Prince John Radziwill with production beginning on August 30th, 2009. The car is painted in Supersports Zurillic Blue Metallic with Yarwood Kensington Penfold quilted leather upholstery with black carpets. 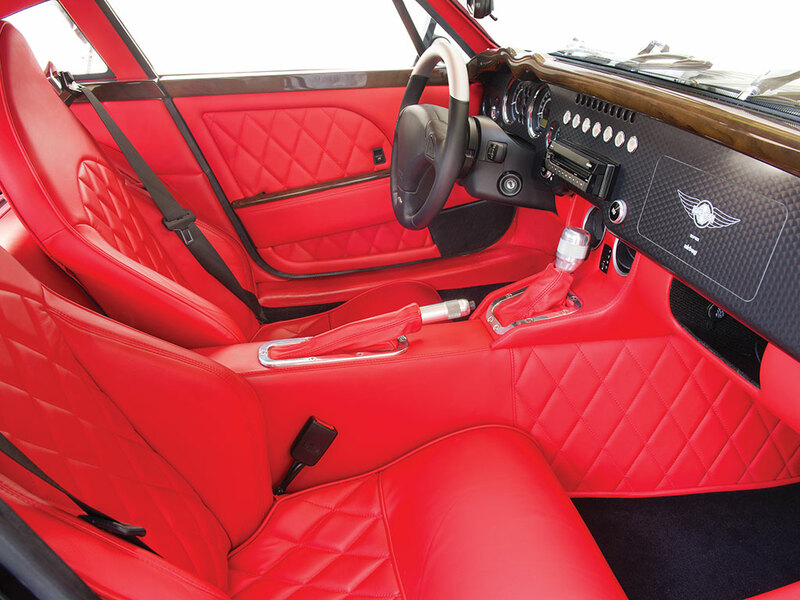 The car’s interior woodwork is in brown velvet wood stain. This Aeromax was ordered with a number of bespoke options including satellite navigation and an upgraded sound system. The Prince is quite tall and so the car was tailored for him by removing the seat plates and installing the seats directly onto the floor, moving the pedals two centimeters closer to the bulkhead, and not fitting a footrest in the passenger foot well. The roof features a stained ash spine that gracefully curves along its length. This car has been well cared for and used little having just 2,700 km on the odometer. 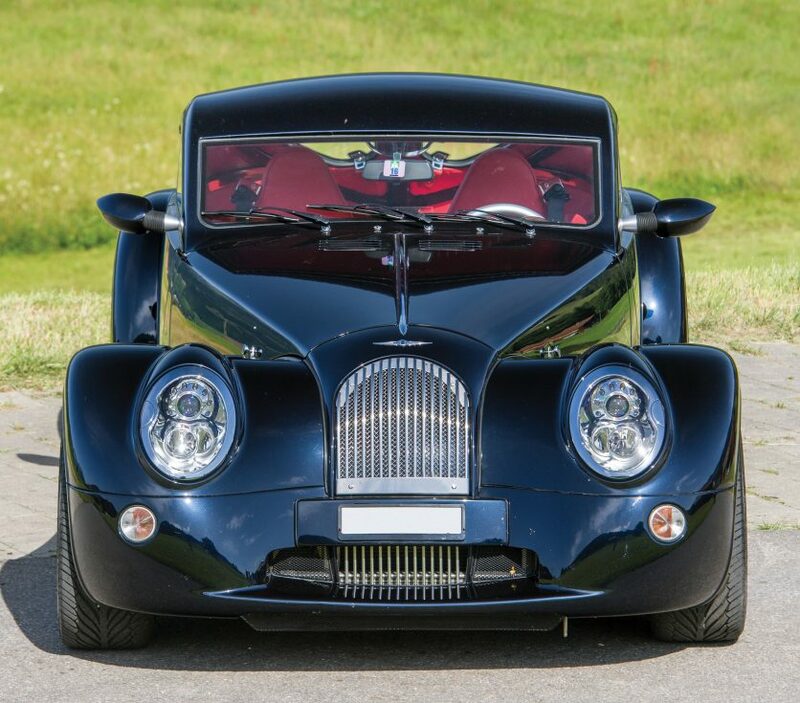 If you are looking for a Morgan AeroMax this presents an opportunity to own one of the most memorable motor cars to emanate from the mavens of Malvern’s workshops. (Photo Credit: Tim Scott ©2017 Courtesy of RM Sotheby’s).